With some of both active Squadrons away I think it is going to be a quite October after a really busy September. Squadron marking are starting to be appear on Typhoon again with ZK343 29Sqn markings , lets hope for many more to be put back in marks. ACPV starts on the 15th so I would expect aircraft to start arriving on the 11th. ZJ914/914 code only c/s “Warlord 12 . ZK348/348 code only c/s “Typhoon 23” – Display. ZJ228/653Sqn/AH-64D Apache AH1 c/s “Prowler 2” – To Leeming. ZJ184*/653Sqn/AH-64D Apache AH1 c/s “Bedlam 2”- To Leeming. * not comfirmed. ZJ226/653Sqn/AH-64D Apache AH1 c/s “Slayer 2”- To Leeming. ZK358/Unmarked – Towed from HAS 3 to HAS 1. off QRA duty. ZK361/361 code only – Towed from HAS2 to HAS3. on QRA duty. 3rd Wed Log thanks to Susie. 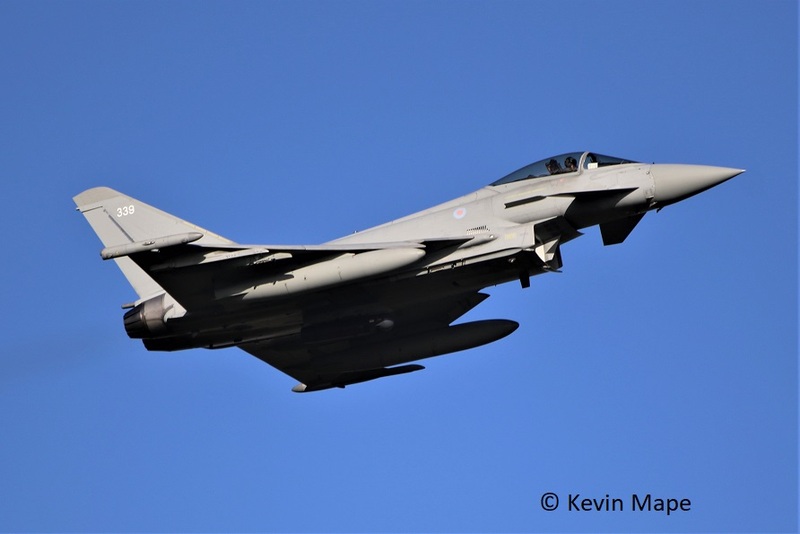 ZK374/374 code only c/s “Typhoon 63” – Delivery to Lossiemouth. 12-0065/357th SOG/CV-22B c/s “Knife 72” – low overshoot. 4th Thur Log thanks to Susie & Garf. MK356/QJ-3/BBMF/Spitfire LFIXe c/s “Spitfire 01”. ZA553/045 code only/Tornado GR4 c/s “Marham 10” – Overshoot. G-FFRA/Cobham/Falcon 20EW c/s “Zodiac 51” – Departed. G-FRAU/Cobham/Falcon 20EW c/s “Zodiac 52” – Departed. ZK340/340 code only c/s “Ascot 9521” – 3(F)Sqn return from Cyprus. Welcome home. ZK347/347 code only c/s “Ascot 9523” – 3(F)Sqn return from Cyprus. ZK327/327 code only c/s “Ascot 9524” – 3(F)Sqn return from Cyprus. ZM140/17TES/F-35A Lightning II c/s “Marham 92” – Overshoot. – first visit. ZM143/17TES/F-35A Lightning II c/s “Marham 91” – Overshoot. – first visit. ZF171/171/1FTS/Tucano T1 c/s “Sword 2”- Departed. ZK330/330 code only c/s “Ascot 9525” – 3(F)Sqn return from Cyprus. Welcome home. ZK322/322 code only c/s “Ascot 9526” – 3(F)Sqn return from Cyprus. ZK300/300 code only c/s “Ascot 9522” – 3(F)Sqn return from Cyprus. G-MAJD/JD/Eastern/Jetstream 41 c/s “East Flt 104” in “105” out. ZM303/3FTS/Prefect T1 c/s “Cranwell 66” – departed. ZM333/Phenom 100 c/s “Cranwell 31” – Overshoot. 8th Mon Log thanks to Susie. ZM306/Prefect T1 c/s “Cranwell 18” – departed. ZK318/318/RAF 100 tail c/s “Typhoon 23” – display. 9th Tue Log thanks to Steve & Val. ZK338/338 code only – Noted on the Wash pan. Z****/Unmarked – Tower to HAS 7. G-COBS/Cobham/Da-42 Twin star c/s “Calibrator 390” – Parked on Sierra. ZK358/Unmarked – Towed from Foxtrot to Echo. 08-0051/357th SOG/CV-22B c/s “Knife 71” – Overfly south to north. 12-05pm. G-BYUK/UK/Tutor T1 c/s “Wittering 55” – overfly south to north. ZK345/345 code only – Engine runs on the ASP. 08-0051/357th SOG/CV-22B c/s “Knife 72” – Overfly south to north. 18-10pm. 29Sqn -ZK318/RAF 100 tail,ZK348/348 code only,ZJ812/812/29Sqn. 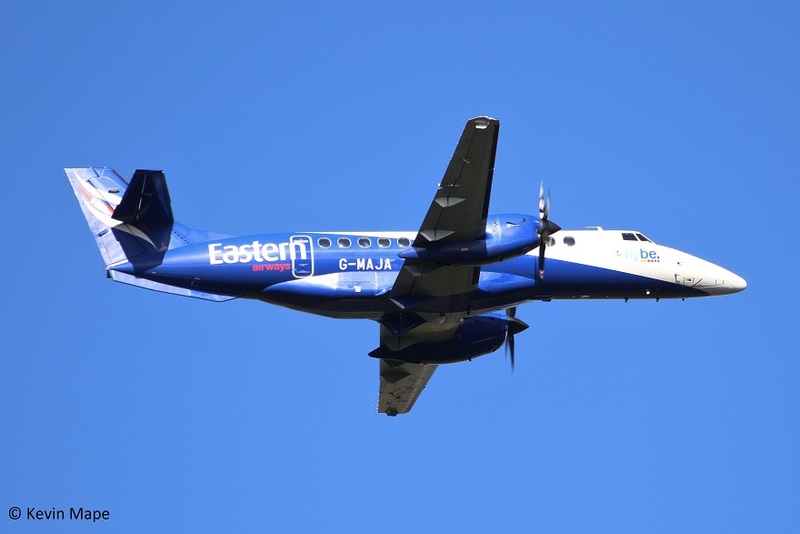 10th Wed Log thanks to Garf & Rob W.
G-MAJD/JD/Eastern/Jetstream 41 c/s “East Flt 10H” in “102” out. G-COBS/Cobham/Da-42 Twin Star c/s “Calibrator 390” – Departed after night stop. ZM304/3FTS/Prefect T1c/s “Cranwell 104P” – Overshoot. ZK339/339 code only – Radio check from HAS 59. ZJ929/929 code only c/s “Bravo 9 Whisky 37” QRA practice. ZK382/382 code only c/s “Typhoon 45” – PD at Linton. ZJ917/917 code only c/s “Bravo 9 Whisky 36” QRA practice. Noted on tow during the day. 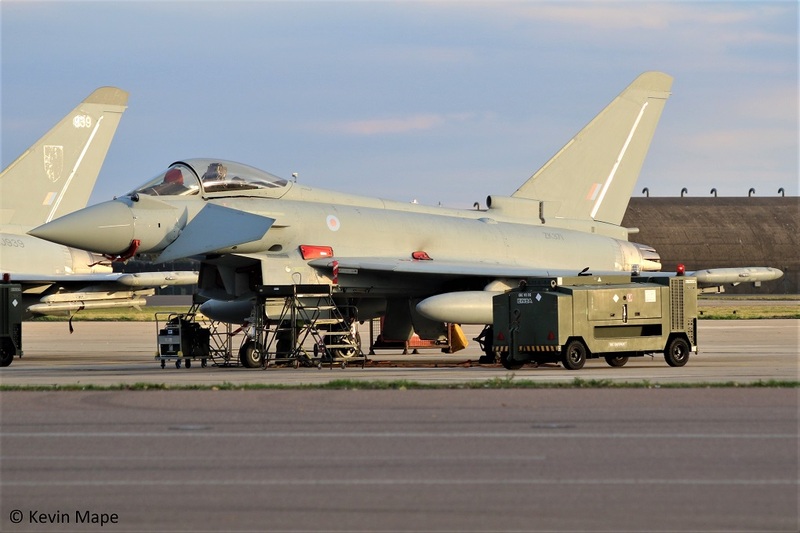 11th Thur Log thanks to Susie & Rob W.
ZA612/074 code only /Tornado GR4 c/s “Marham 25” – For ACPV static. ZK308/308 code only c/s “Razor 22″. ZK345/345 code only – Towed into the old paint shop. 12-0064/357th SOG/CV-22B c/s “Knife 73” – overfly south to north. 18-32pm. Noted on the ACPV static. ZA612/074 code only /Tornado GR4. 12th Fri – No flying due to high cross winds. 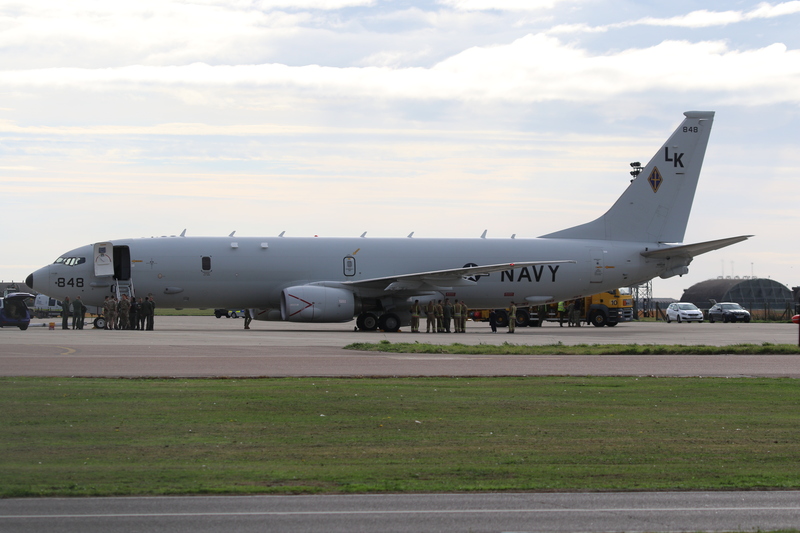 168848/LK-848 /VP-26/ Boeing P-8A Poseidon c/s “Trident 25” for ACPV – Parked on the ASP. 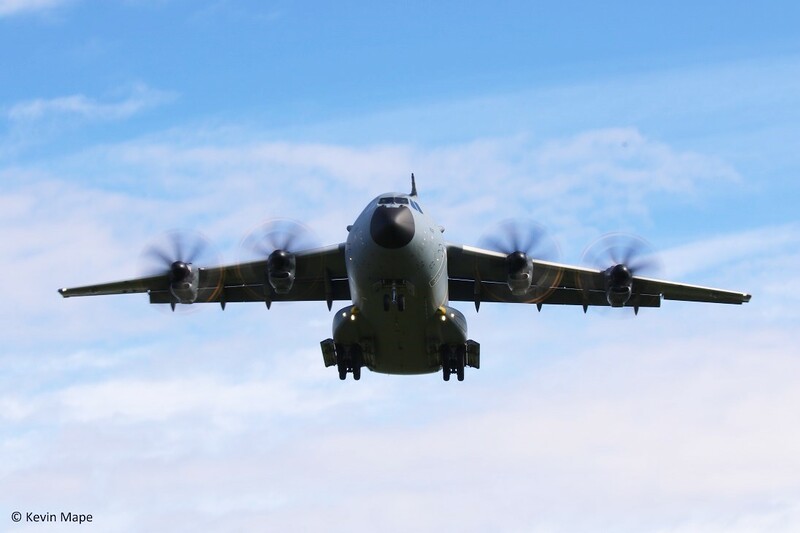 ZM408/408/Airbus A400M Atlas C1 c/s Ascot 466″ – for ACPV – Parked on the ASP. ZK382/382 code only c/s “Typhoon 23” – aborted display. 168848/LK-848 /VP-26/ Boeing P-8A Poseidon. ZH888 /888/Brize pool/Hercules C5 c/s “Ascot 226” – Parked in the ACPV static. ZH867/867/24Sqn/Hercules C4 c/s “Comet 238” – brief visit collecting crew of ZH888 then departed. ZK551/7Sqn/Chinook HC6 c/s “Vortex 495” – Parked on the ASP. XX198/CH/Hawk T1A c/s “Aggressor 1” – Parked on Sierra. G-MOAL/Agusta A109SP Spirit c/s “Ascot 1263” – Parked near the BBMF. XX339/CL/Hawk T1A c/s “Aggressor 2” – Parked on Sierra. ZZ387 / Wildcat AH1 c/s “Recon 21” – Parked on Sierra. “Typhoon 26” – ground abort. ZE707/32Sqn/BAe 146 C3 c/s “Ascot 1525” – Parked on the ASP. 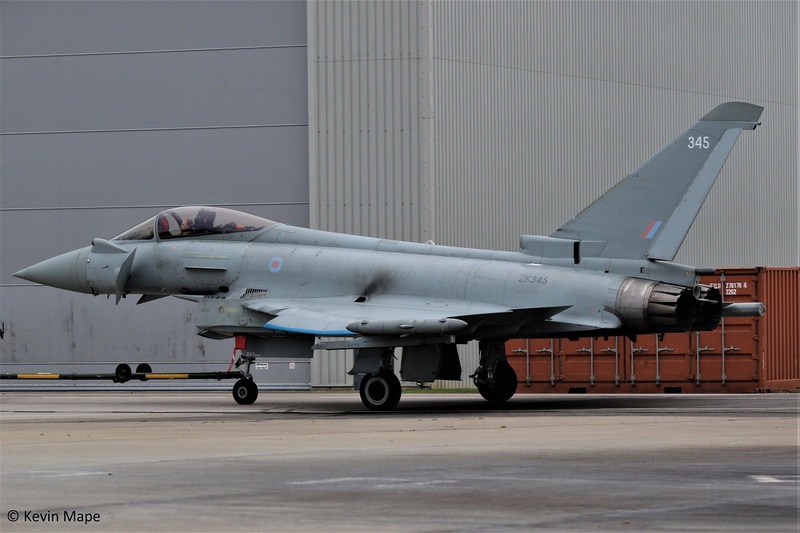 ZK347/347 code only – Towed from Foxtrot to HAS 1 for QRA duty. ZE707/32Sqn/BAe 146 C3 c/s “Ascot 1525” – Departed. ZJ929/929 code only – Towed from HAS 1 to Echo. ZZ387 / Wildcat AH1 c/s “Recon 21” – Departed. ZJ802/802/3(F)Sqn full marks – f/n. 168848/LK-848 /VP-26/ Boeing P-8A Poseidon . WG486/E/BBMF/Chipmunk T10 c/s “Chippy 90” practice aerobatic. 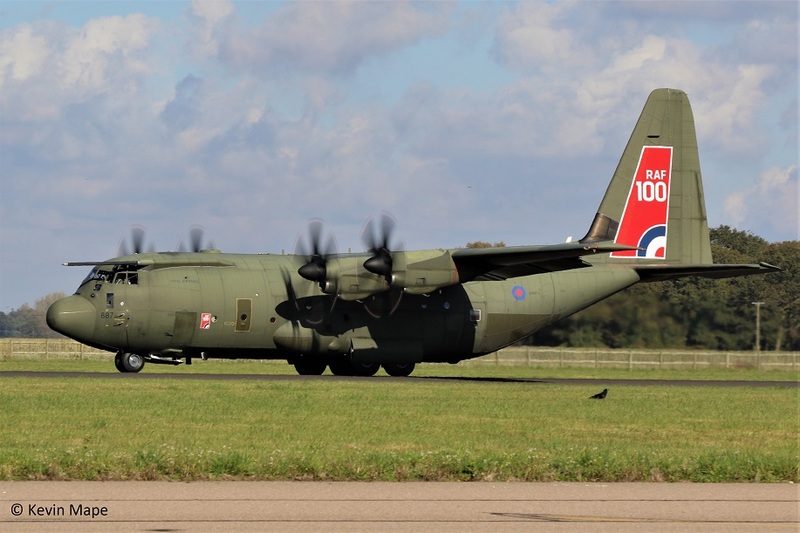 ZM408/408/24Sqn/Atlas C1 c/s Ascot 467″ – Departed. 18th Thur Log thanks to Garf. 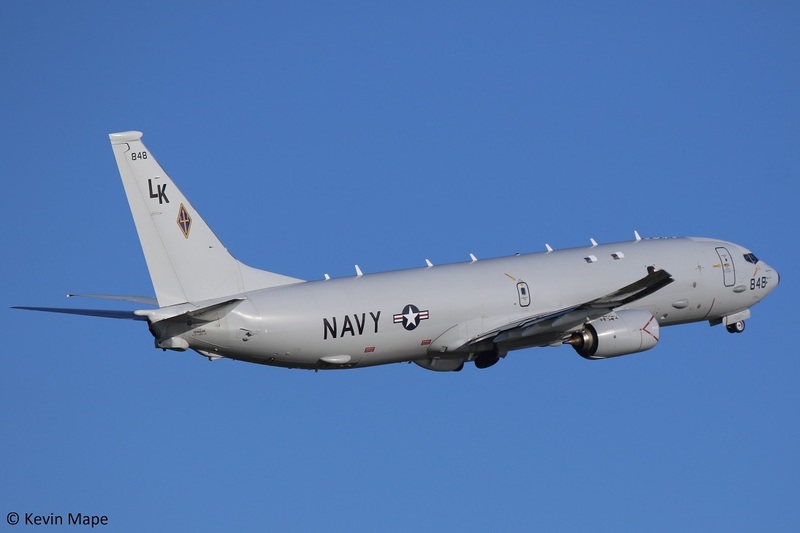 168848/LK-848/VP-26/P-8A Poseidon c/s “Trident 25” – departed. ZK347/347 – QRA radio check -12-08pm. 11-0057/357th SOG/CV-22B c/s “Knife 71” – South to north overfly with :- 12-08pm. ZH887/887/RAF 100 tail/Hercules C5 c/s “Jigsaw 2” – Crew ferry for ZH888 – Departed. ZH888/888/Hercules C5 c/s “Ascot 252” – departed. 12-0064/357th SOG/CV-22B c/s “Knife 72” – North to south overfly with :- 13-50pm. ZK348/348 code only c/s “Typhoon 311” – PD Marham. 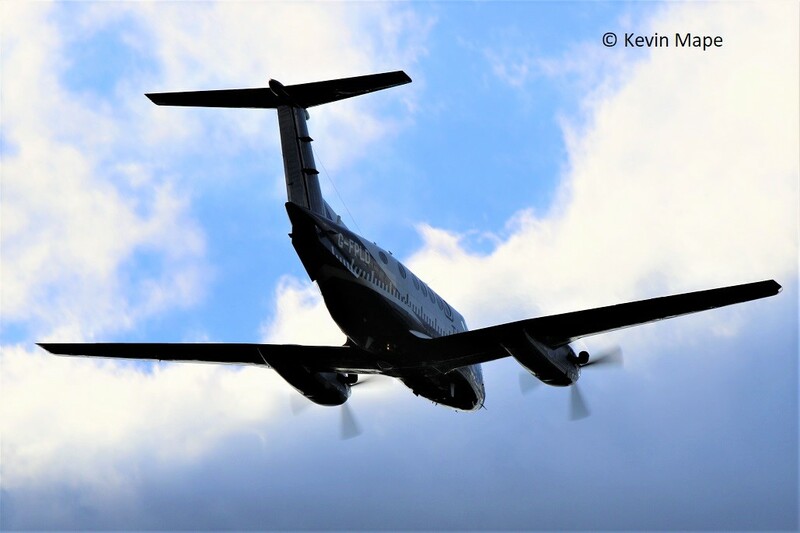 G-FPLD/LD/Beech 200 Super King Air c/s “Calibrator 393” – Overshoots. 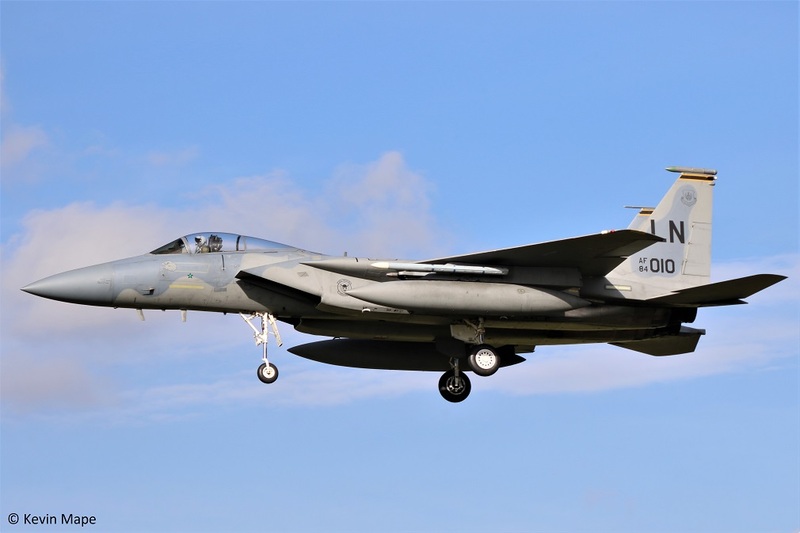 ZK358/Unmarked – QRA radio check. 17-08 pm. ZJ928/928 code only – Towed from south to the North side. ZK379/379/41TES – Towed from South to North side. ZK553/7Sqn/Chinook HC6 c/s “Vortex 503” – To Holbeach. ZK553/7Sqn/Chinook HC6 c/s “Vortex 523” – Departed. 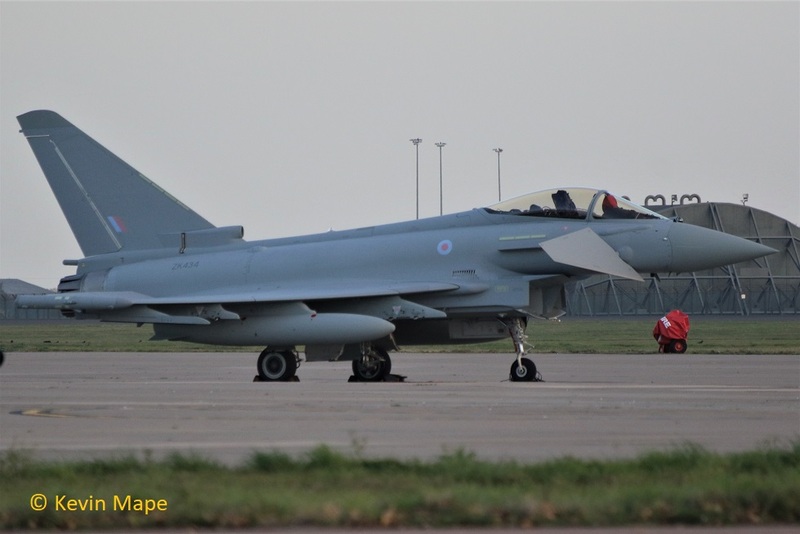 ZK434/Unmarked c/s “Tarnish 29” – Delivery from BAe Warton. ZK434/Unmarked – Parked on the ASP. “Cobra 52” – Ground abort. ZK317/317 code only – Noted on the Wash pan. ZK380/380 code only – From the Wash pan to the ASP. ZK317/317 code only – From the Wash pan to Foxtrot. ZK333/333 code only c/s ” Lossie…. ” – Parked on the ASP. 26th Fri Log thanks to Garf. 29th Mon Log thanks to Rich. ZK380/380 code only c/s ” Typhoon **” – display. ZK333/333 code only – Towed from Hangar 2 to the wash pan. “Chaos 13” – Ground abort. ZK327/327 code only – Towed to HAS 8. ZK300/300 code only – Towed to HAS 5. “Chaos 32” – Ground abort. ZK333/333 code only – Towed from the Wash pan to the TMF. G-MAJA/JA/Eastern/Jetstream c/s “East Flt 105” in “106” out. ZK322/322 code only,ZK324/324 code only. Foxtrot – ZJ802/802/3(F)Sqn,ZK325/325 code only,ZJ949/949 code only. 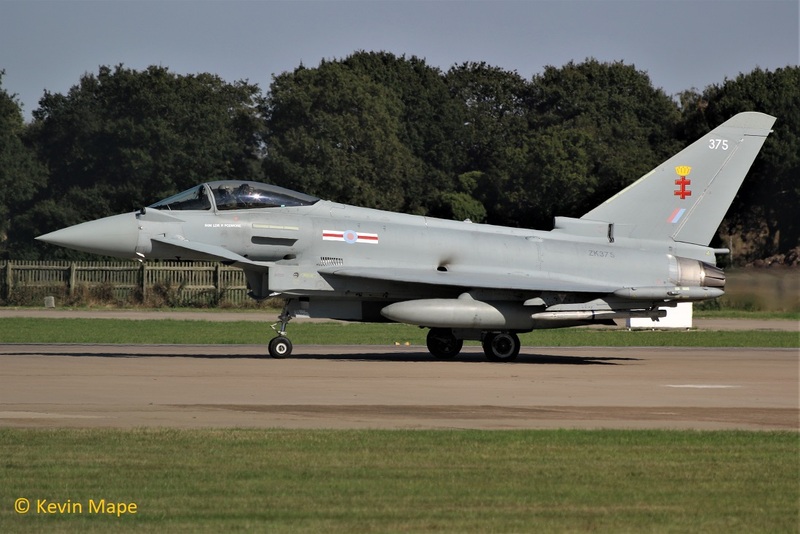 ZJ814/814/29Sqn/Typhoon T3 – On RTP. 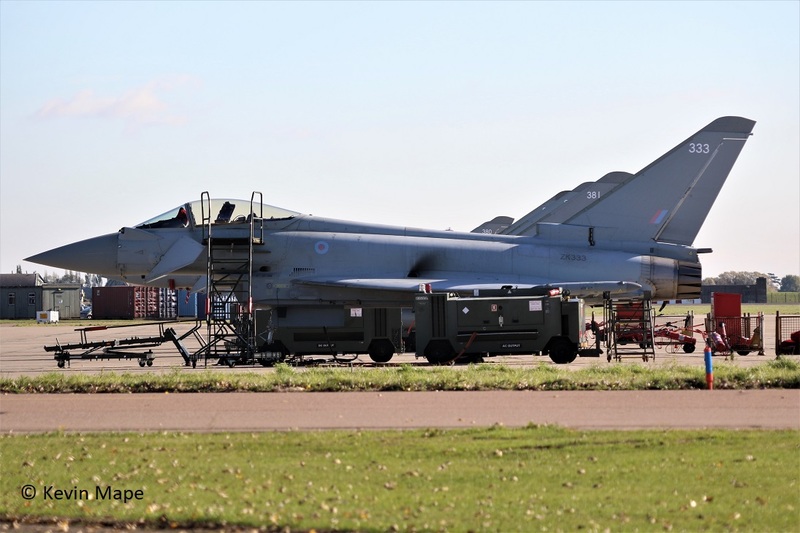 ZK374/374 code only /Typhoon FGR4 – Delivered to Lossiemouth c/s “Typhoon 63” 3/10/18. ZK315/41Sqn 100 year /Typhoon FGR4. ZK324/324 code only/Typhoon FGR4 – Towed to compass swing area near Echo.10/10/18. 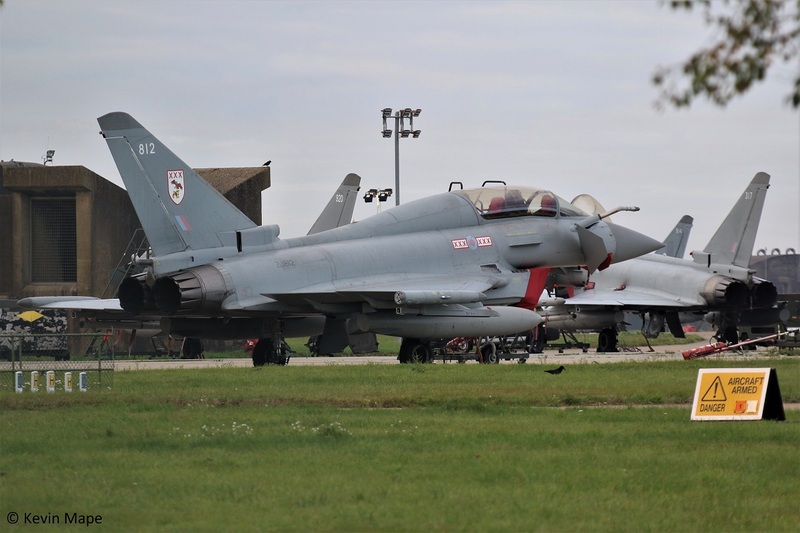 29Sqn c/s Typhoon 29-55 ,100 series,300 series. Cobra, Gunfighter, Triplex, Warlord. 3(F)Sqn c/s Typhoon 03-28,Chaos,Nightmare, Rampage, Tyrant.